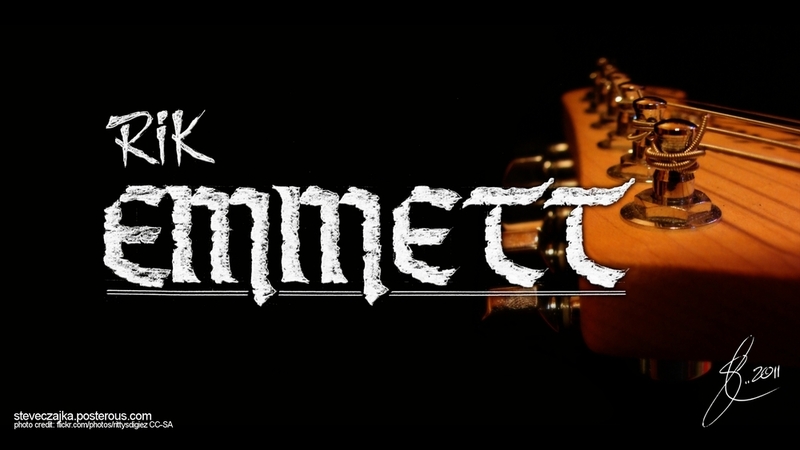 According to Wikipedia, Richard Gordon (Rik) Emmett (born July 10, 1953 in Toronto, Ontario) is a vocalist, guitarist, and founding member of the Canadian rock band Triumph. Emmett left Triumph in 1988 to pursue a solo career. His first solo album, Absolutely, was released in 1990 and became a moderate hit across North America thanks to the hits “When a Heart Breaks” and “Saved by Love”. He is also a writer for Guitar Player magazine and teaches song writing and music business at Humber College in Toronto. This is a tribute to his music.